Even the smartest conservatives don’t get it. There’s a big win for conservatives buried in the Senate’s tax plan. If it goes through, though, it will not prove the strength of conservative ideas, but rather the desperate strait they are in. Before we dig into that, let me back up a little bit and tell a story. 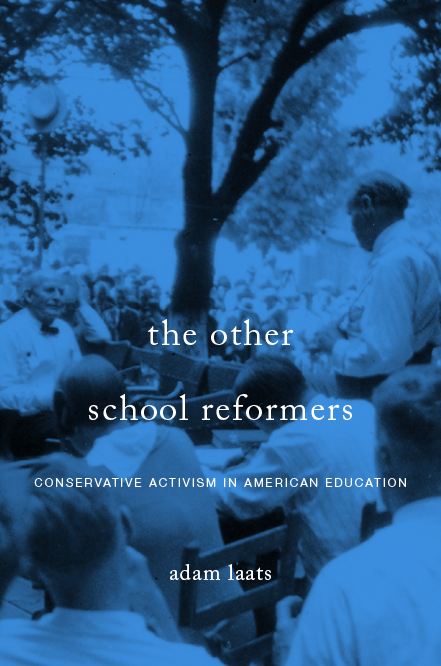 When my book about the history of educational conservatism came out, I did an interview with National Review’s John Miller. He wanted to know how twentieth-century conservatives had pushed for charters and vouchers. The problem was…they hadn’t. As I have argued elsewhere, when Milton Friedman first proposed charter schools in the 1950s, no one listened. The conservative push for charters and vouchers only gained real steam at the very tail end of the century. By and large, conservatives didn’t want to escape from public schools in the twentieth century. Why not? It’s obvious: They still hoped to control them. There were exceptions. After Brown v. Board in 1954, whites in the South massively resisted by privatizing public schools. And yes, the evangelical exodus from public schools took off in the 1970s. Then the second-stage flight from fundamentalist schools to fundamentalist homeschools began in the 1990s. In the big picture, though, conservatives generally considered public schools their schools throughout the twentieth century. In the Reagan era, conservative intellectuals who cared about schools—most notably William J. Bennett—didn’t want to help conservative parents escape from public schools. Rather, Bennett thought the public schools themselves could be nudged in conservative directions. As we’ve seen lately, though, there’s a huge divide between today’s conservative thinking about public schools and Bennett’s. Most obviously, Bennett’s conservative dream for common state standards met with virulent conservative opposition. What does any of this have to do with the Senate tax bill? The Senate version contains a clever sweetener for conservatives who want to remove their children from public schools. As reported in Quartz, their proposed tax bill will extend the use of 529 plans to K12 education. In the past, those programs allowed parents to squirrel money away for their children’s college expenses. Any earnings weren’t taxed, as long as the money was spent on tuition. The new tax bill allows parents to do the same thing with private and charter schools. In effect, the new bill is a modest tax break for conservatives who want to keep their children out of the hands of the public schools. I should add the usual clarification: SAGLRROILYBYGTH are sick of hearing it, but I’ll say it again. I am no conservative myself. I am deeply concerned about the two terrible tax bills currently under debate. The push to reduce and reroute funding for public education is a cruel and shortsighted effort. IMHO. As a historian, though, I can’t help but notice that this is yet another example of the ways conservative dreams have deflated in the past century. In the 1920s, as I argued in my book about educational conservatism, religious conservatives hoped for nothing less than to legislate the theocratic control of public education. These days, as this tax plan demonstrates, conservatives no longer hope to push public schools in conservative directions. Rather, conservative strategy consists of sneaking in tax breaks and incentives for parents who are trying to flee. Adam, does this also include circumstances where parents are homeschooling their children, but legally it is considered to be a private school? I’m not sure, but my hunch is that vouchers could certainly be used to fund that sort of institution. If a homeschool is legally considered a private school, it seems to me that parents could successfully sue to receive the per-student funding that typifies charter-school and voucher programs. Thanks. I was just curious if the tax plan mentioned it at all since I remembered in some states homeschooling can fall under the private school category. I haven’t looked into which states, but I might just out of curiousity. Conservatism is dead; it’s utterly meaningless in every respect. There was a great article on this recently in The Week you should look at. You’re suggesting about the same here. Another way to look at it is that Libertarianism has won. “Why should we have to pay for you inferior people who refuse to help yourselves” has been the uniting ethic across the right and the neoliberal so-called “center.” That is what remains when everything else falls away. Pure, naked, mercenary disgust and distrust among a divided people who hate each other more than they value anything in common. Common Core only got pushed through because of Bill Gates. The looting going on now, and the breaks/incentives for people fleeing the public system are a classic Koch move, some crumbs scattered to the masses of temporarily delayed millionaires, a grace I imagine DeVos had a hand in. If this is Conservatism, it is the anarchic anti-statist type of Libertarianism that links radical non-elites like Rose Ingalls Wilder, Ayn Rand, Rushdoony, and others who were never supposed to gain such purchase on American society. Their ideas have been popular, enduring, and link powerful populist impulses with some major, motivated billionaires. Perhaps they understood something about cultural hegemony, and how to get it in a very long game.